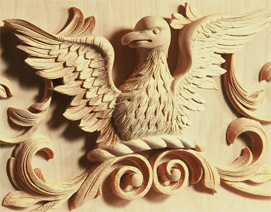 Please click here to download our brochure. We treat our client's privacy with utmost respect, so there are many projects that unfortunately we cannot share with you, however, if you have a particular scheme in mind that you can't see represented here, please don't hesitate to contact us to talk it through. You can also follow us on Instagram and Facebook to see our latest work in progress. 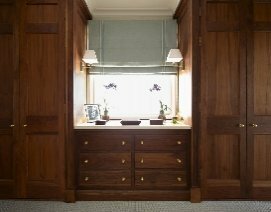 All of Hallidays’ wood panelling and cabinetry is created in our own Oxfordshire workshop by our specialist craftsmen, meticulous in their attention to detail, and using skills handed down from generation to generation. Are you looking for something unique, memorable and personal to you? 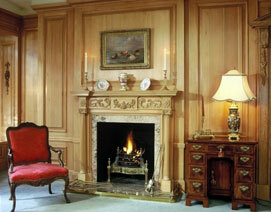 You can trust the team at Hallidays to deliver your vision, as we combine decades of knowledge, passion and experience, with an unrivalled reputation for producing bespoke wood panelling and furniture. We are famous for our commitment to traditional methods and our meticulous attention to detail, qualities we are proud to put our name to. 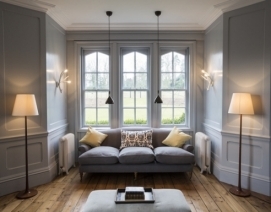 Modern interior design trends come and go, but fine antiques and bespoke room wood panelling or fitted woodwork, created with the finest craftsmanship will forever enrich desirable properties throughout the world. 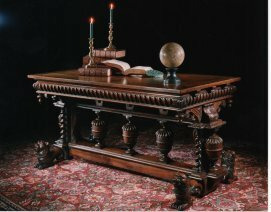 Whether we are sourcing antiques or creating something unique and personal from scratch, we always aim to deliver the timeless quality we have become known for.